Some time ago I acquired a George B. Stone rope drum. It has sat on my office floor waiting for me to get around to looking at it more closely. George Kubicek, a friend and drum maker/restorer/craftsman/player, came by for lunch. We began to examine the drum and found that both heads were stamped with a logo which we deciphered to be from Geo. H. Way Drum Company. We found the following information from the website of The Geo. H. Way Drum Company which is interesting and of historical significance. There has been no single person who enjoyed as long, varied and productive career in the North American percussion industry as George Harrison Way. Way spent his boyhood in Boston, where he took lessons from George B. Stone. He came from a wealthy family, but was practically disowned when he chose a career as a vaudeville drummer. Way travelled extensively with minstrel shows and circuses, finally settling down in Edmonton, Alberta, Canada with a job as a house drummer in a vaudeville theater, the Pantages, around 1918 when he married Elsie Johnson on July 13th, 1918. Together with the house electrician (who specialized in electroplating). Way started the Advance drum company. His designs, marketing and sales skills brought him to the attention of U.G. 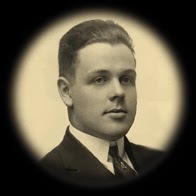 Leedy, who in 1921 convinced Way to move to Indianapolis to work for the Leedy drum company. George works at Leedy as the top marketing position "sales manager" as well as inventor, artist relation and advertising, a position he maintain for some 20 years. During this era he was responsible for numerous historic innovations such as pearl drum coverings, self-aligning lug inserts and the "floating head" concept. Around 1926 in a clinic program, George Way and his assistant take a prolonged tour through Europe to promote Leedy drums. Although there were some sales, the more notable effect was the impact on drum manufacturing in the UK as companies like Carlton quickly picked up on the Leedy aesthetic. Way was also the creator of the famous promotional publication titled Leedy Drum Topics which included playing tips, endorser news, and product introductions. In 1927 George introduced the Chinese "sneeze" cymbal, easily recognized today as the modern China type cymbal. Then in 1929 the Leedy Company (and Ludwig) sell out to C.G. Conn. George stayed on as sales manger for the Leedy division of C.G. Conn.and was known as "Mr. Leedy". (William F. Ludwig on the Ludwig division). George Way's job with Leedy was "downsized" by World War II, so in 1942 he set up shop on his own as a distributor of calf heads, sound effects and accessories that were hard to get due to the manufacturing regulations imposed by the war. In 1944 George went to work for Amrawco (American Rawhide) and moves to Chicago. After a year of that he went to work for the Slingerland drum company in Chicago. Then in 1946 George borrowed enough money to move to California via housetrailer and opened opens the Hollywood Drum Shop with business partner and drum legend Harold McDonald. This was Hollywood's first drum shop. By this time Way was in his mid-fifties and, having already worked in the percussion industry for over thirty years, was regarded as being a little old-fashioned - particularly in the "fast lane" of Hollywood drummers. The war was now over, so in 1948 Way gave up on trying to keep the shop afloat and moved back to Elkhart Indiana to once again work for the Conn company, in their Leedy drum division. In 1952 George is put in charge of merging Leedy and Ludwig & Ludwig into one company known as Leedy & Ludwig. In 1954 Conn decided to get out of the drum business, again leaving Way out of work. George solicited investors and formed a corporation named the George Way Drum Company and purchases the factory formerly operated by Conn's Leedy and Ludwig Division located at 225 East Jackson St. in Elkhart. Between 1957 and 1959 Way introduces his famous line of snare drums including the Aristocrat and Spartan model snare drums plus a full line of toms and bass drums. Just as this new drum company was beginning to establish a serious market presence, George learned from one of his investors, John Rochon, that there was a movement among the investors to acquire another Elkhart percussion business. Rochon was the owner of Camco, a screw machine company in Chicago which supplied drum hardware to not only the George Way Drum Company but also to Rogers and a number of other drum companies. To head off the unwanted acquisition, George helped Rochon acquire 51% of the stock of the George Way drum company. Much to his shock and bitter disappointment, Rochon's attitude changed almost immediately as soon as he was "in control". He was rude and condescending, and made it clear he would be taking the company in a fresh direction which would be a relief from the old-fashioned ideas of George Way. Rochon called a board meeting for Saturdday, August 26th 1961 and during the meeting began to list the changes he meant to effect. Way was afraid many of his longtime customers and friends would think he had gone crazy when they heard about the changes and suggested (only half seriously)that if Rochon thought George and Elsie were such hindrances, perhaps they should drop out. Rochon grabbed at the suggestion. It was agreed that George and Elsie would stay for five working days to train a new office girl. The meeting ended, and George and Elsie (in a near state of shock) went home for lunch. While they were at lunch Rochon called another official meeting during which he accepted their "resignations" effective immediately. He then sent a messenger to their home to inform them they need not report back to work. Soon after that, Rochon changed the name of the company to the Camco drum company, and moved production from Elkhart to Oak Lawn Illinois, where his screw machine business was located. George Way, now 71 years old and tired, was once again left searching for a way to make a living in the percussion industry. He wasn't out of work for very long before he was hired by the Rogers Drum Company. George and Elsie's move from Elkhart to Covington was a fairly major undertaking. They rented the largest truck the could find to move over 18,000 pounds of drum material; catalogs, books, experimental parts, old models of completed items etc. All of this was in addition to household goods. It took a full day to load the truck, and of course a full day to unload it. George started working at the Rogers factory on Monday, October 12th, 1961. The first order of business was helping to set up an office. According to Way, Rogers had never had "this type of office" before. One of George's forst jobs was to organize an inventory control system for drum heads. It wasn't long before it became evident to him that this was the kind of work he would be doing. He had no doubt anticipated contributing more in the way of product design and marketing ideas - these were the activities he thrived on for decades. After about a month at Rogers he reported to longtime friend Charles White that things were going OK, though it was somewhat different from the old drum line factories. "It must be alright though," he wrote "because they are getting plenty of business.". About six weeks later, after the two had exchanged tympani design ideas, George wrote to Charles complaining that "I'm not sure when we'll start work on a tymp model. The personnel here and in level and all have their pet ideas; I may be consulted." His situation worsened rapidly until he found it intolerable. On June 1, 1962, after less than eight months on the job, Way wrote to White: "We have been in sort of a dither here inasmuch as Elsie and I are quitting this job. Perhaps we are foolish-time will tell-but everything is so unlike the drum business as I have lived it all this time that we just couldn't get ourselves in a happy state of mind. We have no kick whatever coming on the personal treatment, but the fact that the main office is 200 miles away from here and the people up there are basically "packaged merchandisers" who were formerly in the retail business for many years and are now in the jobbing business, naturally makes quite a difference between their outlook and mine, which is based on the manufacturing end. There are a million details which would be impossible to explain in a letter, but the truth is their manpower and department heads are adequately filled and there really was not much of a place for us. We have been sitting around here for 8 months with hardly anything to do and, while I think they could have made some improvements, they have gotten into the habit of doing things a certain way and...well, the damn thing just wouldn;t work out no matter how we figured it. Their very strong point is a large group of exceptionally good road salesmen: they are the best and the highest paid in the business, and of course nowadays the public - especially these modern drummers - are very gullible and fast -talking salesmen can sell them. This is practically our last day here. The big boss from Cleveland will be down next Tuesday and I will wind it up. The following weekend we are going to drive to Elkhart and look for a house to live in. We have no connections with any other company as yet and doubt if we can get one because they are too well filled up and the "old school" that we knew does not seem very important to them. We might as well get settled for our age in Elkhart as in this part of the country, which we don't care for one little bit." In 1962 George starts the GHW drum company. Seven years later on February 21, 1969 George Harrison Way passes on. He was educated in the public schools of Portland, ME and later he worked for Bailey & Noyes 11 years. Desiring a musical education he severed his connections with that concern. After studying in Boston, Massachusetts, he set himself as a dealer in musical merchandise and also teacher of percussion instruments. He specialized in the latter (drums being to his liking), and was accepted through the musical circles as being Maine's foremost exponent of the instrument. His store, known as Shaw's Drum Shop was located on Middle Street at the head of Cross Street. SHAW - In Augusta, Sept. 19, Howard N. Shaw, formerly of 10 Dow Street, Portland. Funeral Saturday at 2 p.m. at the Harlow and Libby Funeral Home, 3 William Street at Forest Avenue. Interment in Foprest City Cemetery. Howard N. Shaw, who played the fan-fare for many a vaudelville performer's entrance or exit at the former Keith Theater, died yesterday at an Augusta Hospital following an extended illness. Mr. Shaw, who formerly resided at 10 Dow Street, was 77. Born in Portland April 24, 1879, Mr. Shaw was the son of Andrew J. and Harriet Parker Shaw. He attended local schools and showed musical interests at an early age. Mr. Shaw studied with local teacher and finished his musical education with the late Harry A. Bower, Boston. A professional musician for more than hallf a century, Mr. Shaw played in various Portland bands and for a number of years was resident drummer at the Civic Theater (then B. F. Keith's), where his expert rolls on the snare drum and split-second timing of the bass drum's boom and the cymbals added to the finesse of the acrobats, the hoofers and the prat-falls of the comedians. Mr. Shaw also played in the orchestras at the Jefferson Theater and the Cape summer theater, and for the Saco Valley Music Festivals under the late William R. Chapman. As an instructor, Mr. Shaw was recognized as an authority on percussion instruments throughout New England. 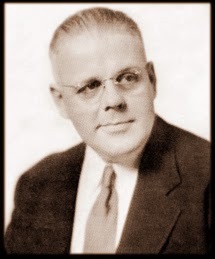 Formerly secretary-treasurer of the Portland affiliate of the American Federation of Musicians, he was an honorary life menber of that organization. Mrs. Shaw, the former Dora J. Faulkner, died in 1953. Surviving are a son, Richard C. Shaw, Portland; a grandaughter, Silvia A. Shaw, and several nieces and nephews. Funeral services will be held at 2 p.m. Saturday at 3 William St., the Rev. James W. Lenhart, DD, of the State Street Conngregational Church, officiating. Interment will be in Forest City Cemetery.